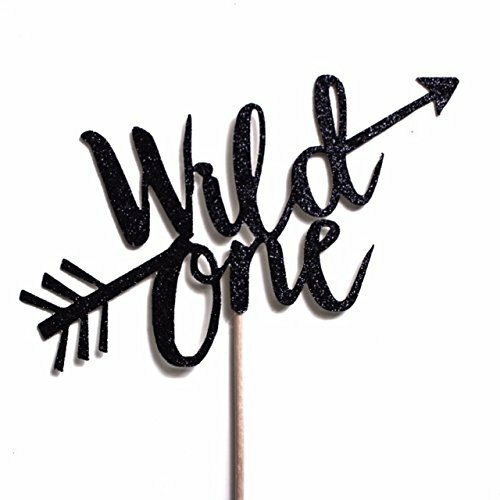 Wild One Cake Topper, Black Boho Tribal First Birthday, 1st Birthday Decorations, Arrows, Boys. This listing is for one gold 6 inch wide paper cake topper. One side is black glitter the other side is white with a bamboo post adhered to the back. If you have any questions about this product by Paper & Parties, contact us by completing and submitting the form below. If you are looking for a specif part number, please include it with your message.